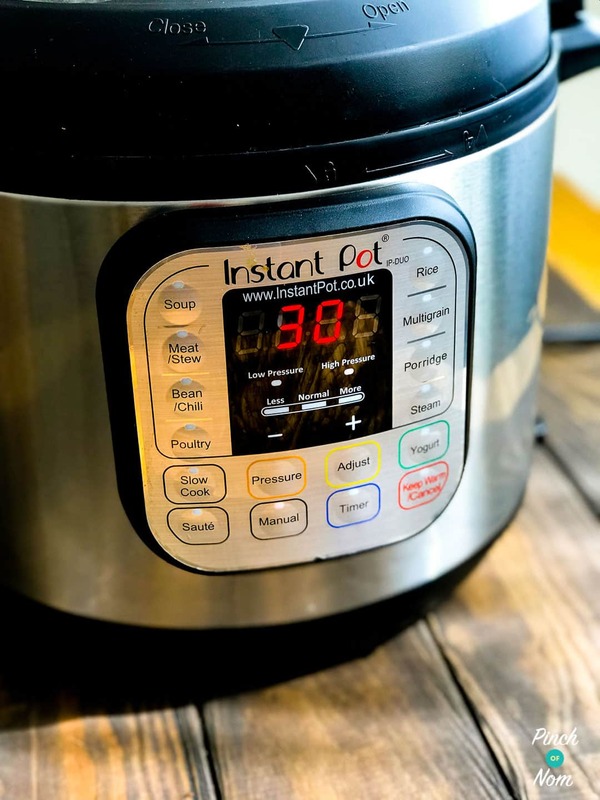 At this time of year, stews and slow cooker meals are on the menu, so I was more than happy to review the Instant Pot! There are lots of questions when it comes to buying a large kitchen gadget, such as the Instant Pot. I asked our Facebook Group members some of the things they wanted to know before buying one so I could (hopefully!) answer all of their questions! I love being able to bung everything in one pot and forget about it, but I find slow cooking can be too, errrrm, slow! This Syn Free Beef Stew takes no time at all! I’m also pretty indecisive about what to have for dinner and so having to decide at breakfast time is generally impossible, which makes slow cooking a bit tricky for me! The Instant Pot is a pressure cooker, slow cooker, rice/porridge maker, steamer, sauté/browning, yogurt maker and warmer all in one. 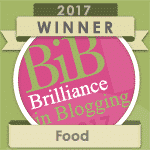 They’re so good that even Michel Roux jr has an Instant Pot in his kitchen! It makes cooking delicious stews and whole joints of meat sooooo quick. 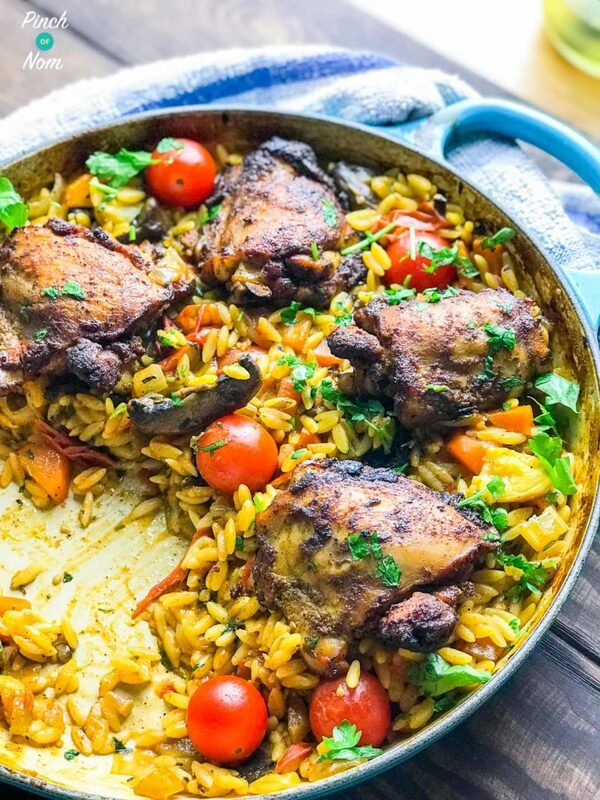 You can cook an entire meal in one pot! I love any kitchen gadget which saves on washing up! Is the Instant Pot difficult to use? I’m not going to lie, there are quite a few settings and functions for the Instant Pot which involve different buttons. However, the settings are very straight forward and the instructions are clear. There are several pre-programmed settings depending on what you are cooking, which work well and are easy to use, but using a manual setting when cooking at high pressure really couldn’t be easier. 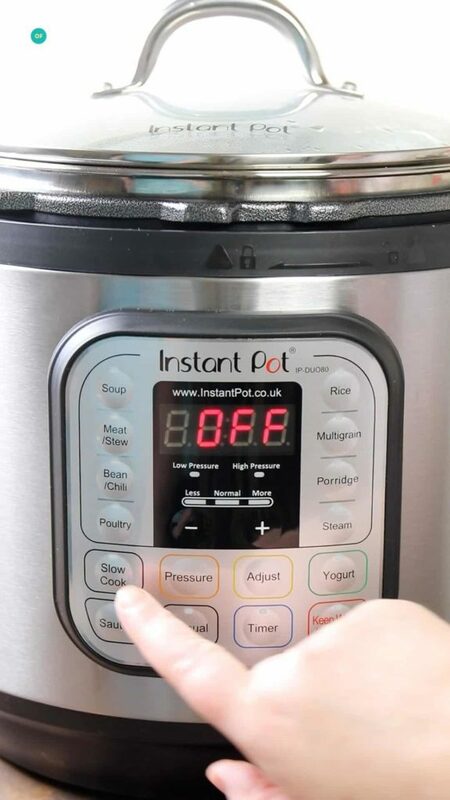 Standard timings for lots and lots of food items are all in the booklet which comes with the Instant Pot, and all of our Instant Pot recipes will tell you which buttons to press and when! 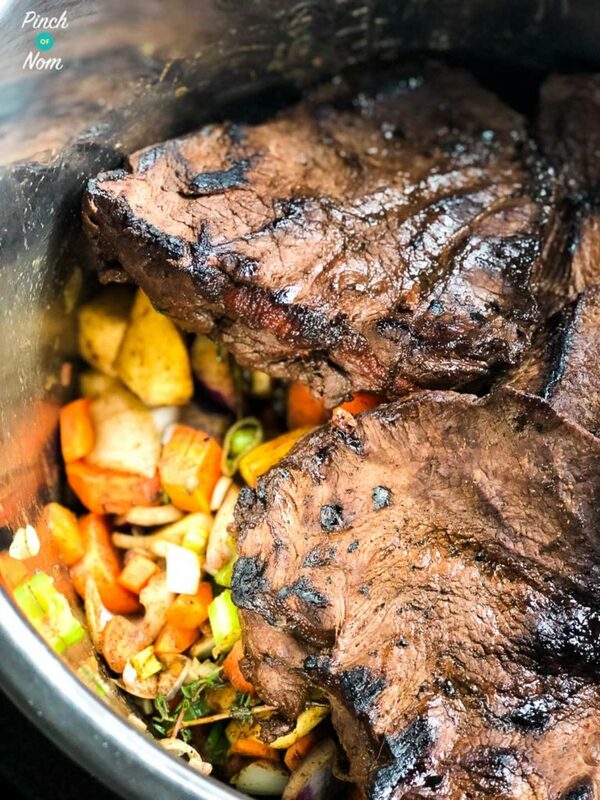 The Instant Pot also has a sauté setting which means you can brown meat or veg in it first, rather than having to use a frying pan and transfer them over. You can even brown meat off before you cook it! What size of Instant Pot should I buy? 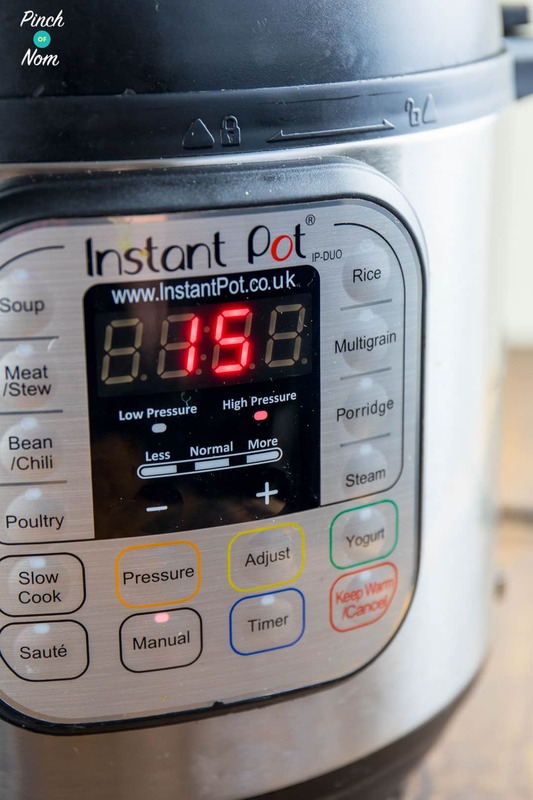 There are 2 sizes of Instant Pot – a 6 litre or 8 litre. I have the 6 litre which easily feeds a family of 4, normally with left overs! 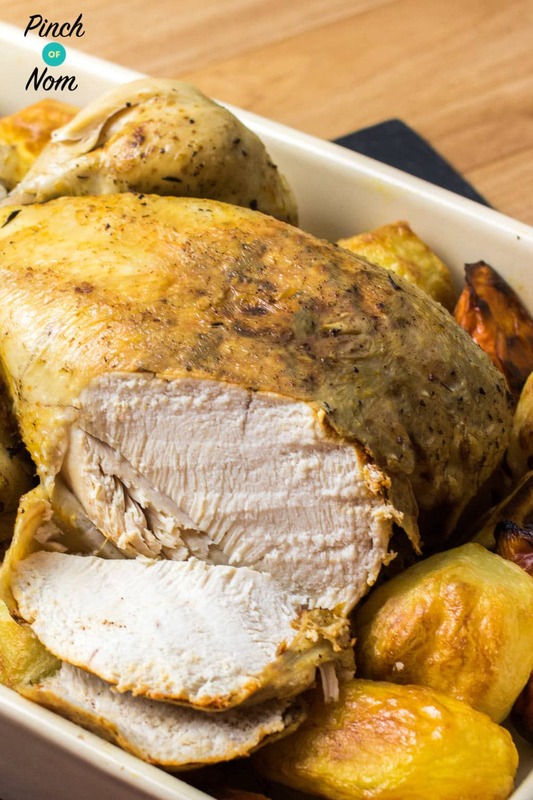 You can even cook a Syn Free 20 Minute Whole Chicken in a 6 litre Instant Pot, which would easily feed a whole family! 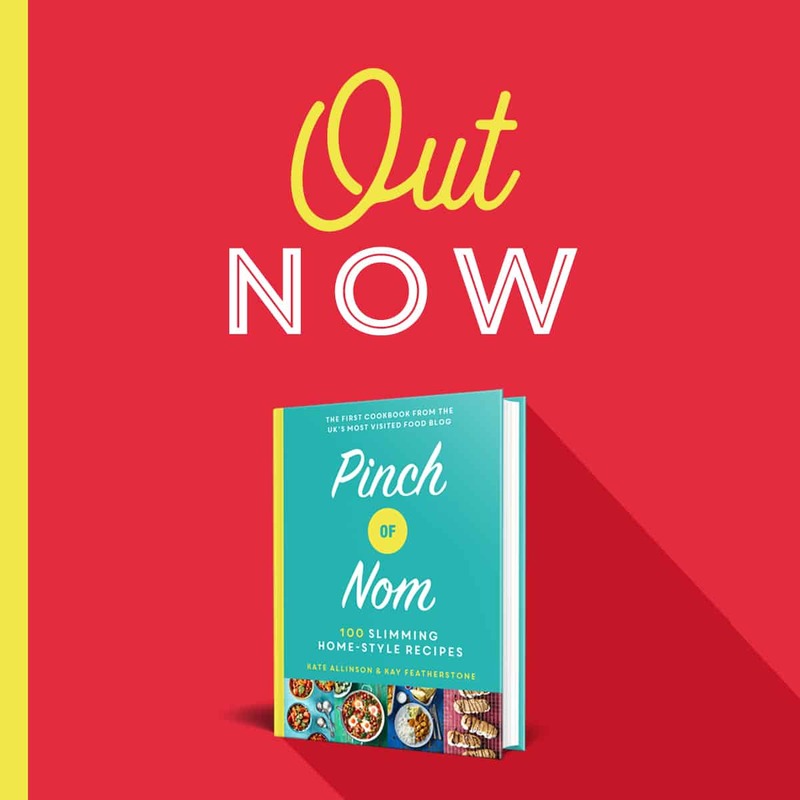 If you’ve got a large family, or you’re looking to batch cook (and perhaps double up our recipes) then it would be worth considering an 8 litre Instant Pot. What can I cook in the Instant Pot? I’m yet to find something you can’t cook in the Instant Pot! From meat and stews to pasta and rice – it is so versatile, and most importantly, reliable. 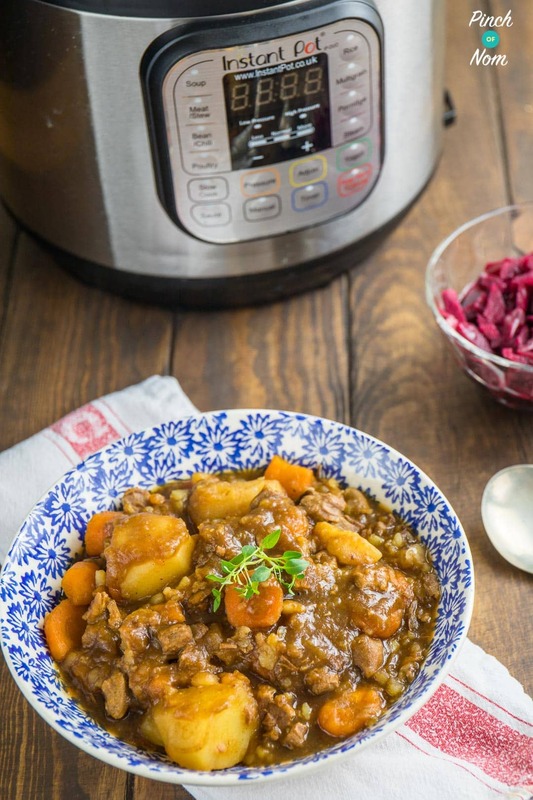 The Instant Pot is able to cook meat and food from frozen too, so those last minute decisions aren’t a problem! There are certain foods which you have to be careful of when cooking in the Instant Pot – certain pulses, fruits and pasta. It is recommended that you only fill the Instant Pot half full with these as they can splutter when cooking and clog up the steam release valve. 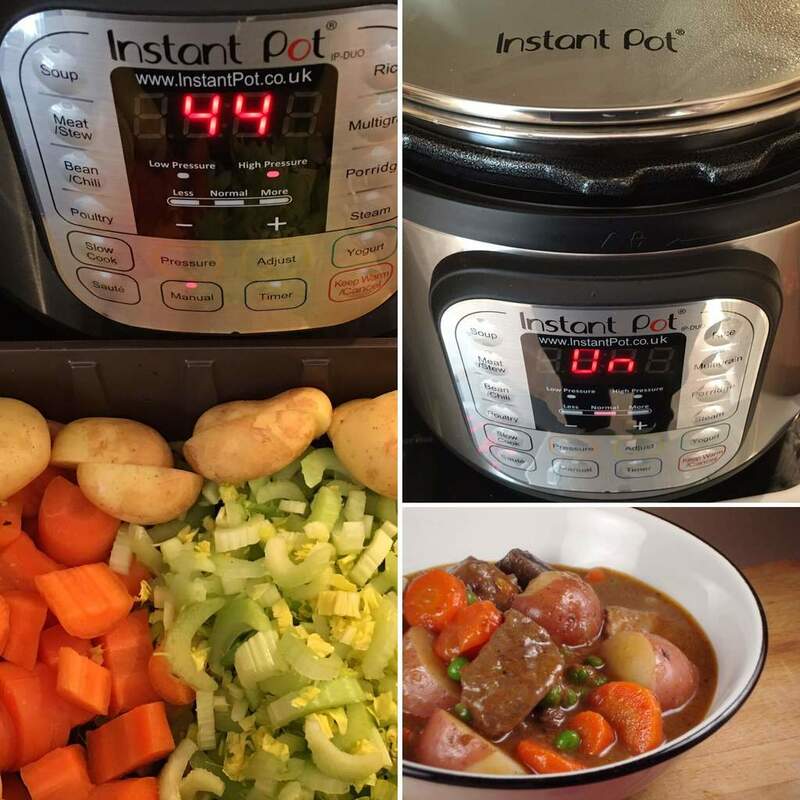 We’ve got loads of recipes which use the Instant Pot! 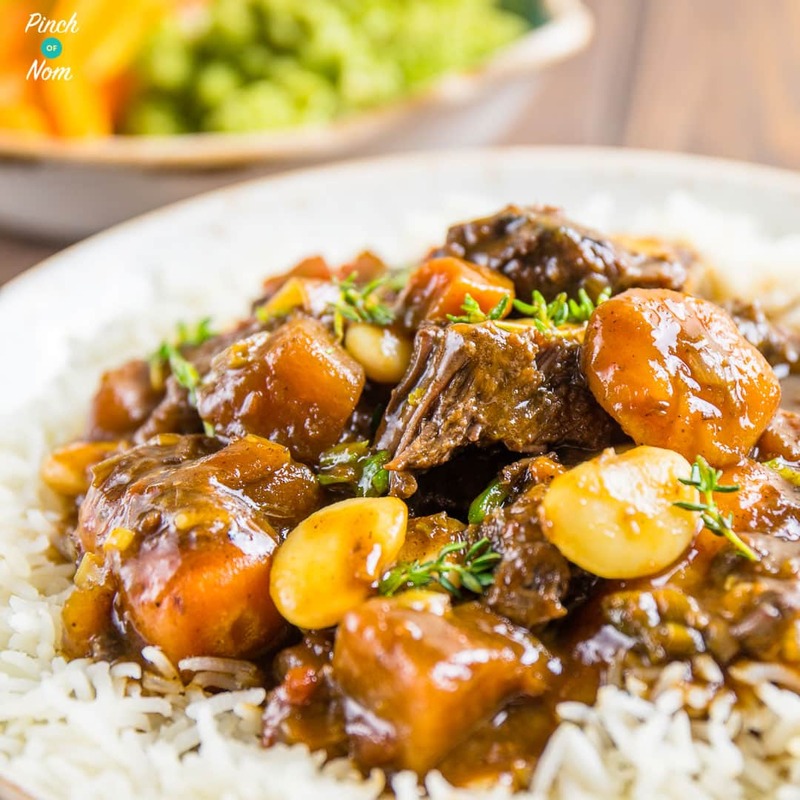 This Syn Free Caribbean Jerk Stew is a dinner that’ll keep you warm, is super thrifty and takes under an hour to make in the Instant Pot! 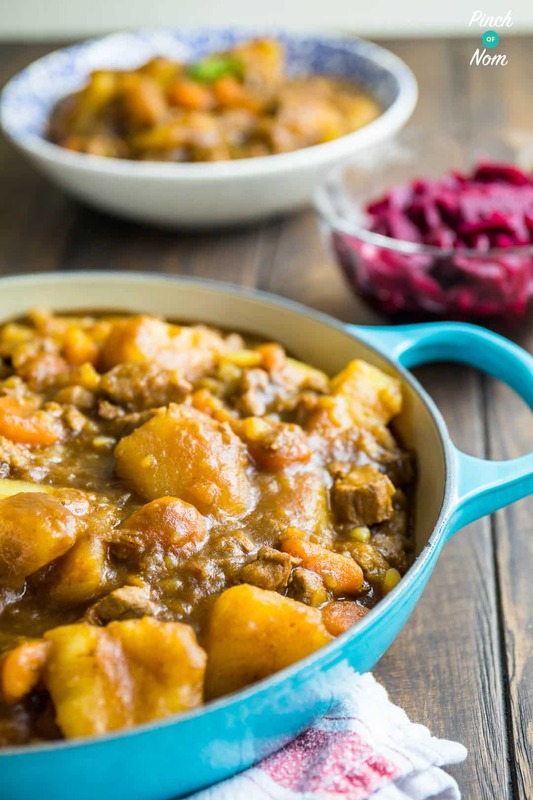 Syn Free Lamb Scouse is a hearty, warming, comforting stew to warm up those Autumn and Winter months. And all this deliciousness in around 50 minutes!! 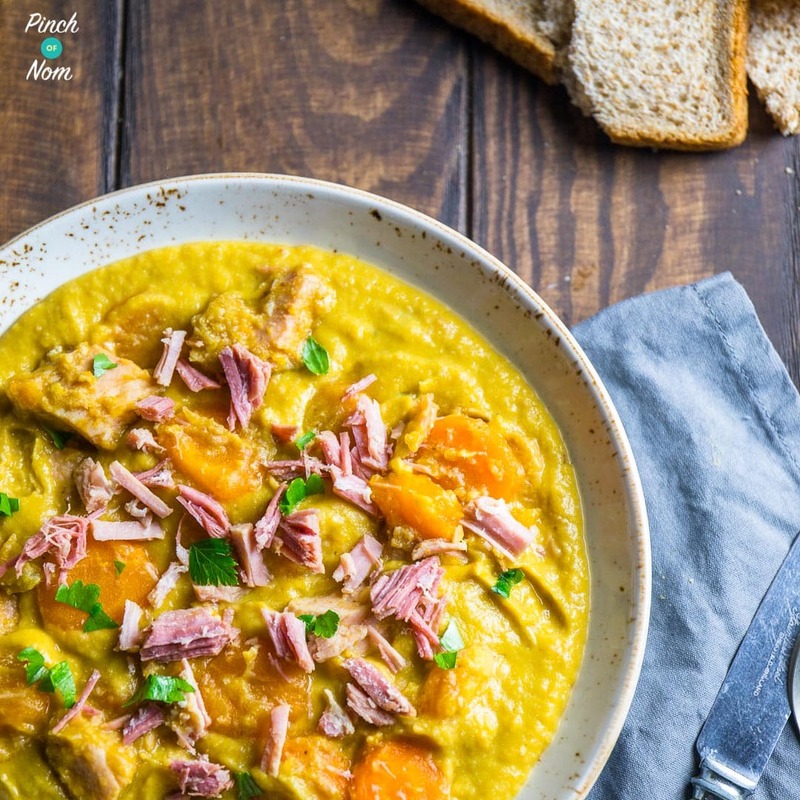 You can also make quick soups in the Instant Pot too – like this Syn Free Pea and Ham Soup, which only takes 30 minutes! 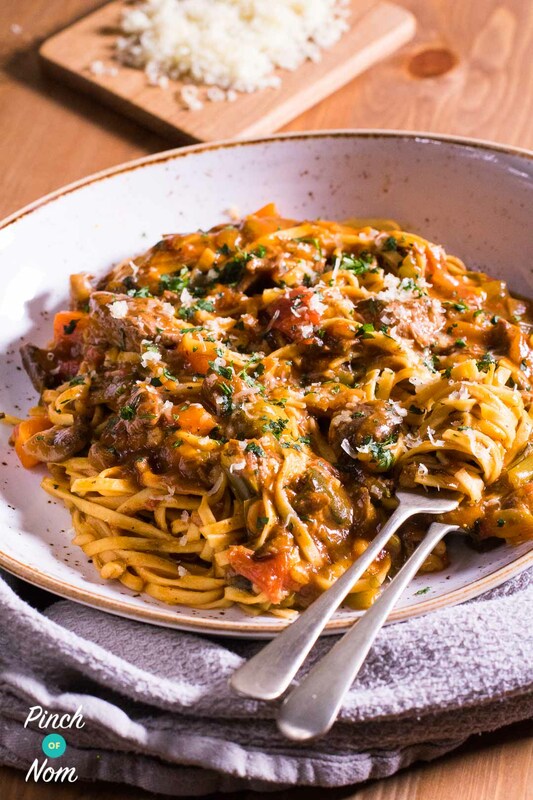 This Syn Free Beef Ragu Fettuccine is a firm favourite – like a proper beefed up, meaty bolognese – rich and tender meat in only 30 minutes! Find all of our Instant Pot recipes here. How does the Instant Pot compare to a standard pressure cooker or slow cooker? The Instant Pot is a very safe pressure cooker. Being that it is electric, the pressure is well controlled and there are automatic shut offs which avoid any potentially dangerous situations. The Instant Pot has a slow cooker setting too. 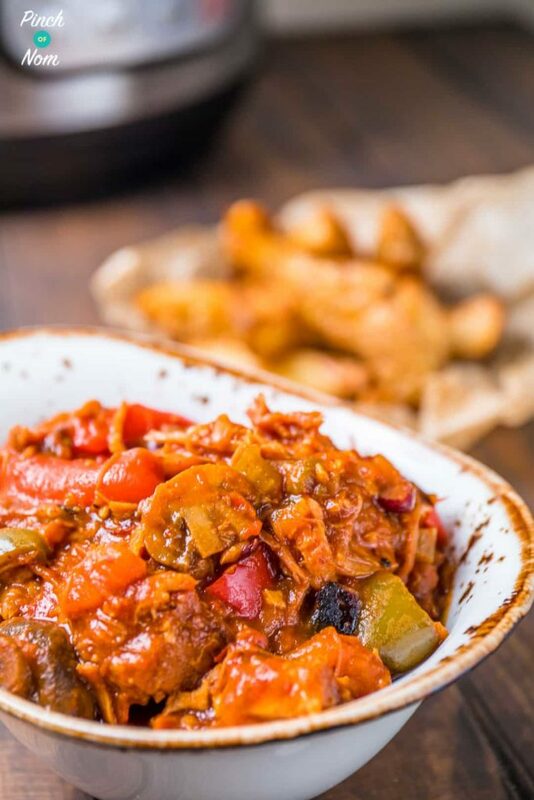 This setting is more sophisticated than a standard slow cooker as there are 3 temperature settings which actually control the temperature – most slow cookers do not maintain an even temperature which can make cooking in them a little unpredictable. The added bonus is, you only need one gadget, saving space and money! How does the Instant Pot compare to other electric pressure cookers? In my opinion, the Instant Pot is far superior to the other electric pressure cookers around. The price for a 6 litre Instant Pot, is comparable to other makes in the same size, but the Instant Pot has more functions and, in my opinion, performs better. The Instant Pot also has extra accessories available to purchase for it, where as other electric pressure cookers do not have these. 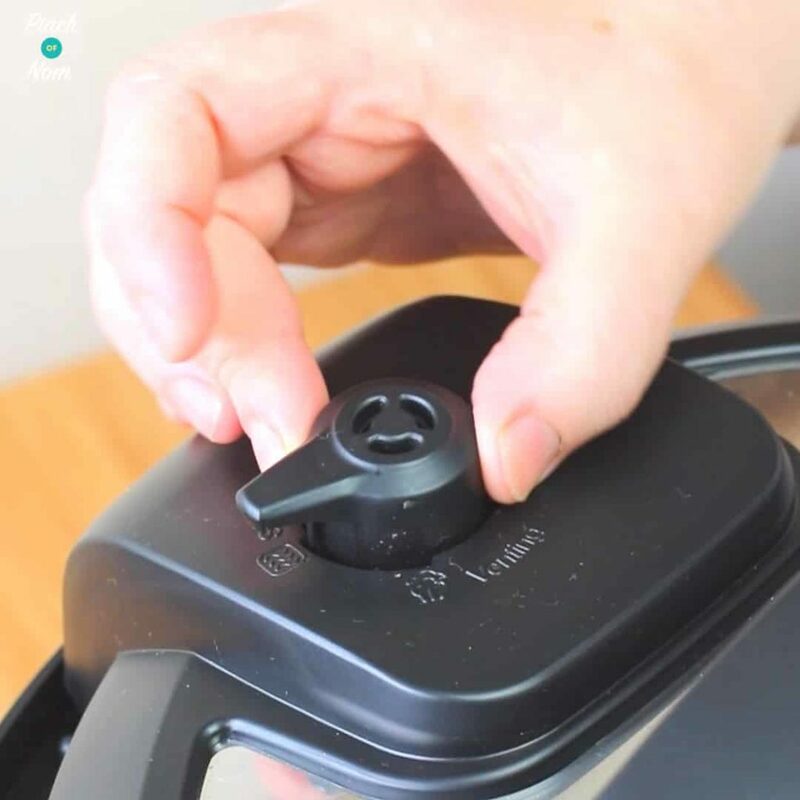 This makes the Instant Pot more customisable, increases its usefulness and adds additional functions! The Instant Pot only comes in the standard silver and black. Other electric pressure cookers are available in different colours. Overall, I’ve found the Instant Pot to be a kitchen gadget which I cannot do without! 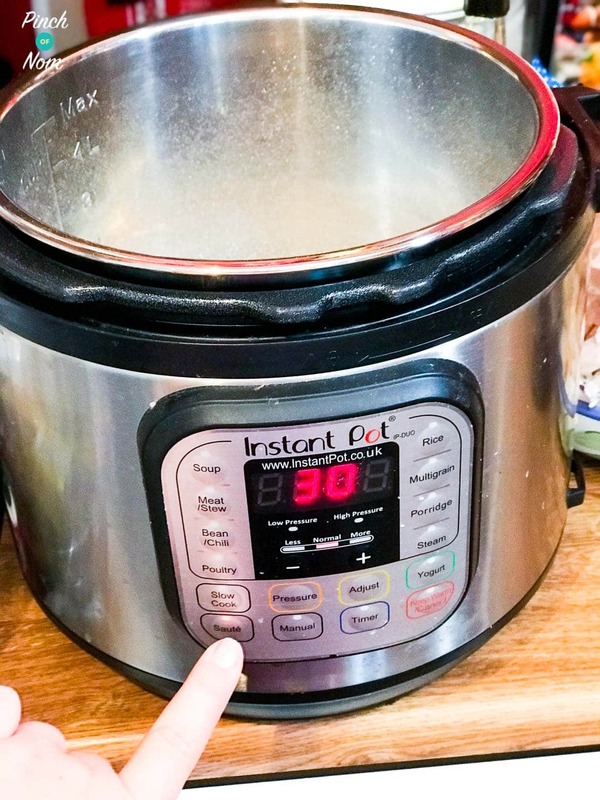 How much is the Instant Pot & where do I get one? Considering the Instant Pot combines several kitchen gadgets the price isn’t that bad at all. They retail for £60-120 depending on where and when you buy one. My number 1 tip would be to wait to Black Friday to buy one from Amazon! Prices on Black Friday have been as low as £70 so it’s most certainly worth waiting. Other pressure cookers, such as the Pressure King Pro, might be cheaper, but the after sales, and reviews for the Instant Pot are just FAR superior in my opinion. 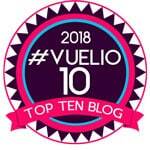 I have just read review and agree with all your comments.I have only had mine 2 weeks so I’m a “newbie”.I cannot believe how quick and tasty meals are.I look forward to more cooking adventures. Thank you team for your initial recommendation. Hi, I can’t seem to find anywhere that does them in black? Do you know where in partiulcar i might be able to get a black one. Thanks! Nice piece of equipment. I’ll be watching out to buy one for Christmas or ask Santa for one. Its main attraction would be saving washing up. And it looks like it would be great on a long work day when I would lack the energy to chop, cook, wash, tidy away, and the batch cooking would be done. Win win. It really is a great piece of kit. I love mine! Most of the admin team here at PoN have one. Apart from saving on washing up, it also saves so much time! The pressure cooking function gives you so many options. It’s definitely worth the investment, in my opinion. Does it have a delay setting do you know please ? There has been a Europe-wide supply problem since November. We’re told they should be available from the end of Feb 2018. Thanks so much Janie. I’ll hang on before making a purchase. I am thinking of buying one of these but am a bit scared of the pressure. Is the release valve manual or automatic? The valve is set to vent (open) or seal (closed) before you begin to cook. You can choose to do a Natural Pressure Release (NPR) or a Quick Pressure Release (QPR), depending on what you’re cooking. For example, meat stays much more tender when you use the NPR setting. I love mine! Finally decided to get one (obvs via your very excellent site!) but alas the out of stock issue is still a thing. I know it’s not your fault, but such a shame! Just clicked through on the links in the review. Amazon have got this pot priced up for…… £799. Are they having a laugh? Or have I missed something. There have been Europe-wide supply problems with the Instant Pot, so someone (a third-party seller) is obviously trying to take advantage using Amazon Marketplace. The Instant Pot is a great piece of kit, I swear by mine. However, there are other electric pressure cookers out there, for example the Tower Health One Pot or the Pressure King Pro. Thanks Janie. I have the pressure King. But I did buy thit smaller one. Now wishing I hadn’t. Makes you wonder if anyone will pay the inflated price. Gosh, I really hope that they don’t! !